← PANDAS and PANS: What Are They? 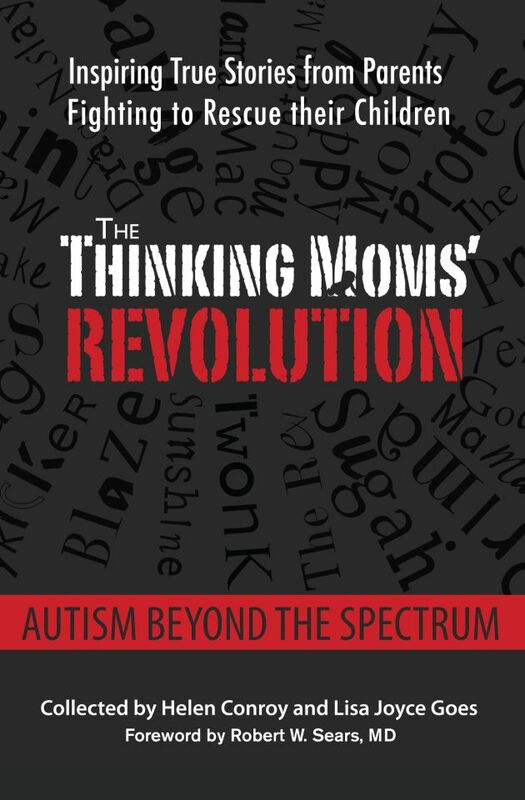 The Thinking Moms’ Revolution is about listening to our children and hearing their messages, whether they’re in pain, slowly healing or just telling us how they need to be nurtured. It’s about community and sharing information, so we can all learn and help one another on this healing journey. Even though we’re taught at a very young age to listen to our mothers, it’s rare when a company listens to moms as advocates for our children. That’s why I’m sharing my experience with Organic 3 today, and their truly amazing, healing GutPro probiotic. Founded by Dan Corrigan, Karen Myers and Archie Welch, Organic 3 was born out of listening to moms like us and actually customizing their probiotic supplements to meet our sensitive children’s needs. Organic 3 has been kind enough to sponsor our online free conference, called PANS/PANDAS Comprehensive and Novel Treatment Approaches to Heal the Microbiome (it’s set for April 5, 2017; 9-5 p.m. EDT). In this regard, I feel it’s important to highlight GutPro, because this probiotic was formulated with PANS kiddies in mind. In fact, the folks at Organic 3 tweaked their special formula when one informed mama identified a handful of strains that were offensive to PANS kids. 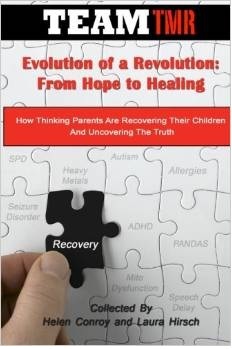 First, let me give you some background: PANS/PANDAS (Pediatric Acute-onset Neuropsychiatric Syndrome) occurs when an infection triggers a misguided immune response resulting in inflammation in a child’s brain. 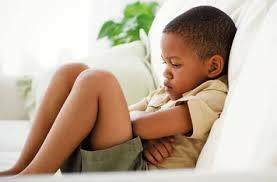 The psychiatric symptoms develop rapidly, the severity acute, and the situation for the family can be devastating. PANS is further complicated when it manifests in children with autism. “GutPro was initially created in 2009. Therapeutic probiotics were still in their infancy, and we quickly learned by interacting with parents and practitioners that not all probiotic strains are created equally. Even today, there’s a shotgun mentality to probiotics. Many misinformed companies toss in several strains with the notion that some of them will have a positive effect, not realizing other strains may actually impede the healing process. We had already set a powerful foundation for GutPro by ensuring none of our strains were cultured on dairy, soy or other allergens. We took it a step further by nixing the often harmful “prebiotics.” Most probiotics contain 80% to 90% of “prebiotic” fillers such as inulin or maltodextrin. It was clear to our sensitive customers that any prebiotic filler would end up feeding pathogens just as easily as it would feed probiotic bacteria. The solution was to remove all fillers – providing a 100% pure and potent multi-strain probiotic. While attending an AutismOne Conference in Chicago in 2010, my partners and I learned about PANS/PANDAS. One mother in particular, representing a group of PANS mothers from the Thinking Moms’ Revolution, expressed her desire to work with a manufacturer to produce a multi-strain probiotic for PANS children. 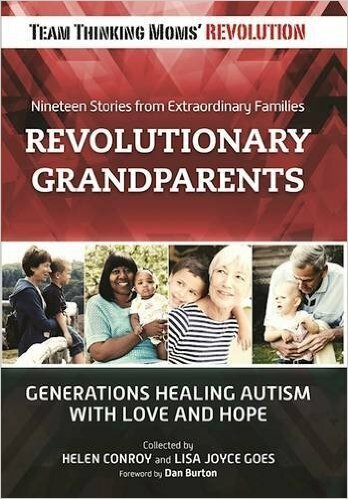 Her group of moms had tried countless strains, and while lauding GutPro and what it didn’t contain, she shared with us the strains that caused negative, sometimes violent reactions to their children. My partners and I were heartbroken to see how these children and their parents struggled with everyday life. We learned that the few doctors who knew about PANS were prescribing a lifetime of antibiotics that was clearly exacerbating the serious symptoms. While these children desperately needed a healing probiotic, the ones they were trying were doing more detriment than good, as they contained the harmful strains and abundant fillers. Contains 8 clinically-proven strains of human probiotics (L. plantarum, L. gasseri, L. salivarius, B.bifidum, B. breve, B. infantis, B. longum, B. lactis). Provides 25+ billion CFUs per 1/32 teaspoon. Is appropriate for GAPS, SIBO, Body Ecology, Autism/PDD-NOS, PANDA/PANS, gluten-free, soy-free, casein-free diets. Does not contain streptococcus thermophilus or other strains linked to irritation. Contains only histamine-neutral or histamine-degrading strains of probiotic bacteria. Does not contain strains known to contribute to d-lactate acidosis. Does not contain any spore-forming strains of probiotics. Is free of inulin and other prebiotics. Is free of excipients and other added ingredients, i.e. magnesium stearate, titanium dioxide. Is free of common allergens. All strains are grown on a dairy-free, soy-free, vegetarian culture. Is easy to calibrate the right dose for your child’s needs. For more information about GutPro, check out Organic 3’s sister company, Corganic.com an online shopping cart where the unique line of Organic 3 digestive supplements are for sale along with the highest quality food and nutrition products, all closely aligned with the GAPS Diet and other gut healing protocols including PANS/PANDAS. Corganic is proud to source and sell “real food,” which is nutrient dense and carries a very short and easy-to-recognize ingredient list. They also have a selection of healthy fats and oils you won’t find anywhere else. This is all based on Organic 3’s philosophy that diet is the foundation in recovering one’s health. The goal behind these carefully researched products is to kickstart the digestive system and maximize nutrient absorption. Once the digestive system has gained a measure of healing, there can be less reliance on supplements and more on probiotic foods, nutritious broths, good fats and other healing foods. Through this journey to find the highest quality and most appropriate probiotic ingredients, I believe Organic 3 has honored us as moms, and therefore our beloved children, by putting their health and our unique needs at the top of the priority list. I also believe GutPro has the capacity to be an invaluable step in healing your PANS child’s intestinal health. We look forward to learning and accomplishing even more during our upcoming conference. This entry was posted in Blogs by Thinking Moms' Revolution, PANDAS, PANDAS sponsors and tagged corganic, GutPro, PANDAS/PANS. Bookmark the permalink. Last year I made an attempt to discover what specific strains are being used in GutPro®. I came up against the same diversionary response you probably encountered, “They’re proprietary”. A response like this implies the company is trying to protect their bottom line…or something. But what is it they’re really trying to do? Do they have my best interests in mind with a response like that? What I seek in a probiotic is (clinical) EFFICACY. Regarding GutPro®, it begs the question, what specific efficacy has GutPro® demonstrated? The company has done no clinical research on their ingredients and the formulation(s). The ingredients appear to be readily available off-the-library shelf ingredients. In fact, they have zero published studies for their GutPro® product(s). Not even small-sample (biased) studies. It appears they have no financial investment in documenting GutPro’s efficacy. So, what are they trying to protect by deflecting my inquiry? By listing the specific strains used on their products the manufacturer could offer me, the consumer, proof that their ingredients, in fact, have clinically relevant strains that I can then research and make an informed decision about. But this manufacturer chooses not to do that. Do you think it’s because there is no viable and ethical clinical research behind the efficacy of the off-the shelf wholesale ingredients they use? There are plenty of innocuous generic strains of species that I can buy and consume that are safe for “sensitives” like me (to ingest). But only a precious few have any clinical effect on my biology. I want to purchase and consume a probiotic formula or strain that works (for me). In order to do that I need to make informed decisions about what I’m buying. I need accurate label information in order to inform my decisions. Unfortunately, the makers of GutPro® would prefer to keep me in the dark. Does that sound like a company that has my best interests in mind? Instead of facts, GutPro® touts nebulous ideas like, “quality” and”pure” and “high standards” and “guaranteed potency”. That’s well and good but, “does your product work?”. To me, “guaranteed potency” means the product has been formulated and equipped to deliver a specific biological effect. Lots of something that hasn’t been documented to work is meaningless to me. I want to know if the company is using ingredients that have been (ethically) proven to have a biological effect; and what that effect was. Because even within a species, different strains within a species have been proven to have different effects. GutPro® touts that it uses ingredients that, “have been thoroughly researched, documented, and banked in recognized microbial culture collections”. That means nothing in the context of clinical efficacy.Their ingredients came from the same wholesalers everyone buys their raw materials from. The overwhelming majority of the ingredients in those culture collections/libraries are clinically irrelevant and impotent. I want access to the histamine-degrading or histamine-neutral strains that are clinically relevant and proven to generate a specific biological effect. A precious handful have any biological effect whatsoever. In order to make informed decisions I need to know the strain being used in the product. Most commercial probiotic makers would have you believe that’s not important. I believe it is the most important consideration. The GutPro people are smart enough to know that, “Certain strains found in (other) commercial probiotic formulas can cause acidosis, histamine and other adverse reactions.” And they’re also smart enough to qualify what claims they do make with their disclaimer, (* These statements have not been evaluated by the Food and Drug Administration. This product is not intended to diagnose, treat, cure or prevent any disease.) Perhaps that’s why they refuse to reveal what strains they use in their products. Because they know what informed consumers of probiotics know. The strains they use are clinically impotent. For me, I’ll stick with probiotic products that have identified exactly what strain(s) they contain so I can make smart decisions for my microbiome. I’ll stick with the strains that have scientifically and ethically (without bias) been proven to generate specific biological effects. GutPro isn’t one of them. Has anyone tried GutPro as a yoghurt starter? Why is inulin and other prebiotics excluded? I thought they were good? This is the same question someone asked above, but I didn’t see it answered. I thought prebiotics were good too! Can someone please explain? Thanks. Why is inulin and other prebiotics excluded? I thought they were good? Interested to see if there is any interest in adding Human endogenous L. reuteri in the formulation, or as a standalone product. There is extensive research on the immune modulating properties of this strain, and it was instrumental in my son’s healing. Hello Katie. Can you please tell us what you did for your son? Trying to help my 14 year old. Sounds great but have just been to the website and they only ship in the US and Canada. I’m in New Zealand. Is there anyway of getting it here? We’ll find out for you! Why does GutPro remove spore forming peobiotics? Are those harmful for PANDAS? 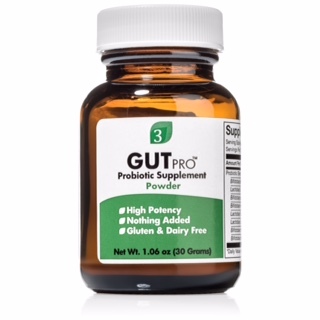 The goal behind GutPro was to formulate the most powerful, cleanest probiotic that did not contain ingredients or strains that people reported having problems with. Spore forming probiotics were omitted because many of our customers did not want them in the product. I do not know of any issues with spore forming probiotics that are linked specifically to PANDAS.